More importantly, why haven’t we seen him try this before? 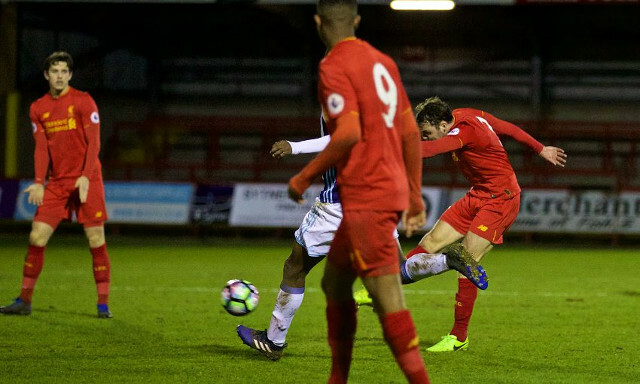 Liverpool defender Connor Randall produced a moment of brilliance that quite frankly took everyone by surprise as his long-range effort found a way past West Brom goalkeeper Boaz Myhill to earn the U23s a win in stoppage-time. It turned out to be a good night all round for Liverpool as Mike Garrity’s side finished the group stage of the Premier League Cup having won five out of the six games played in the competition. Randall’s strike helped Liverpool secure top spot in Group G and consequently knocked out West Brom. The full-back’s moment in the spotlight came when the ball fell to him on the left hand side as the Reds were pushing for a late goal before he cut inside on his right foot and caught out Myhill with with a fierce hit from 25 yards. After all, if you don’t shoot, you don’t score.